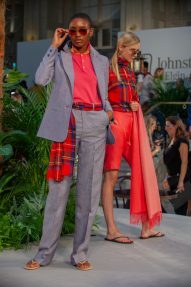 Johnstons of Elgin are renowned for their signature chic and elegant designs coupled with fine cuts and detailed tailoring. 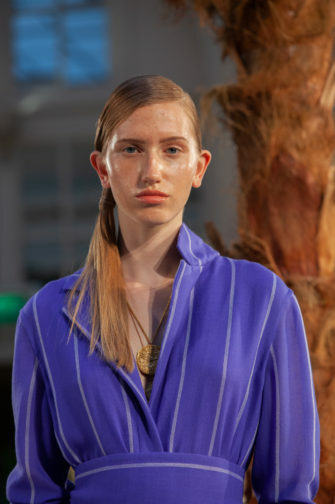 Returning to London Fashion Week at the Palm Court, Waldorf Hilton Hotel, the brand put on a beautiful and ethereal show, palm trees glistening under the dusky pink lights, whilst soft piano music was played live in the background. 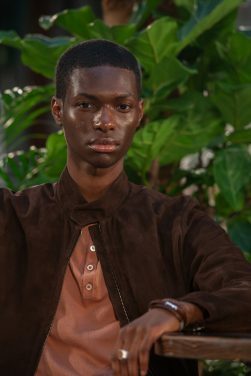 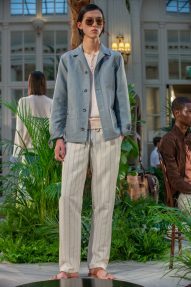 There is an understated beauty and fine architecture in the brand’s design, using lightweight materials and knit modernisms to create outfits for all year round. 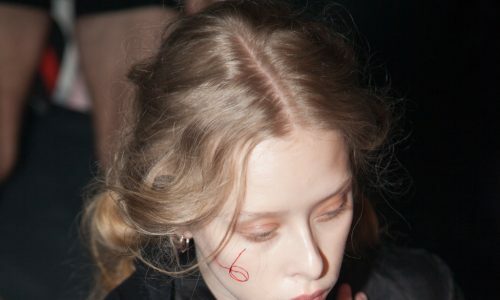 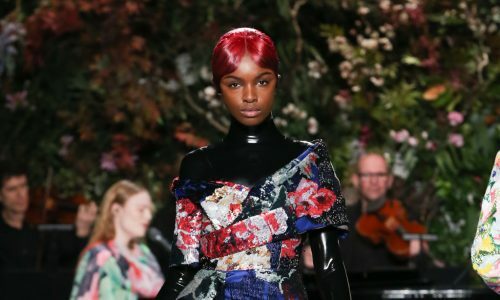 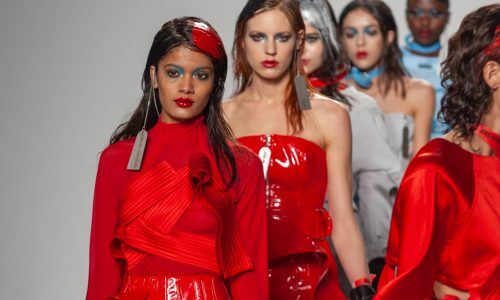 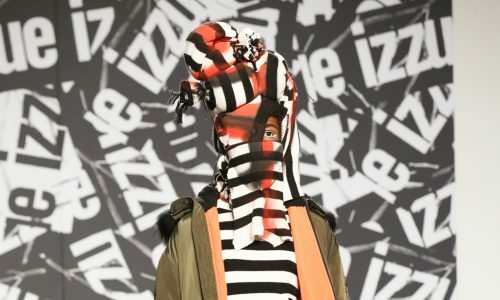 Under the attention of creative director Alan Scott, 15 womenswear and five menswear collections were showcased to an international audience. 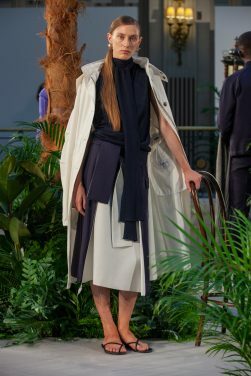 The aim was to produce pieces comprised of cashmere silk and cotton, demonstrating the capability of the outfits to be worn in all four seasons. 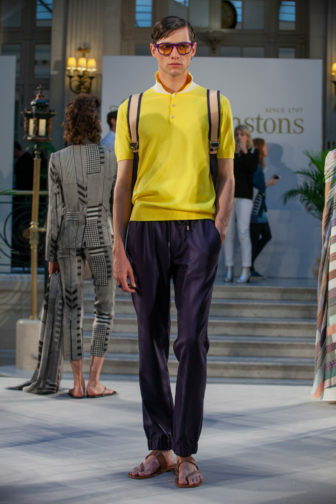 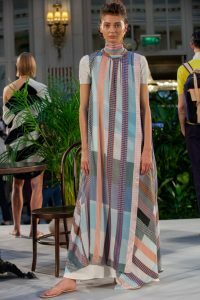 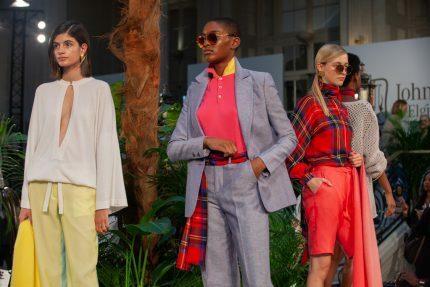 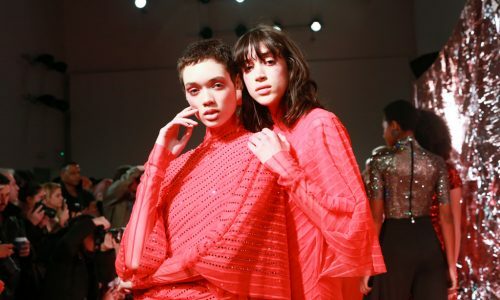 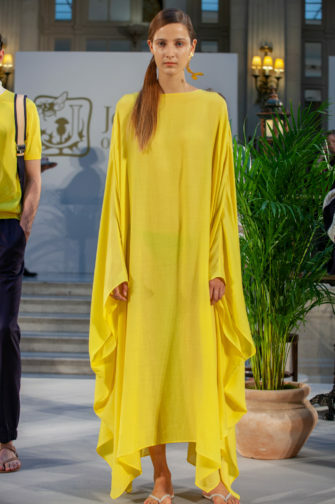 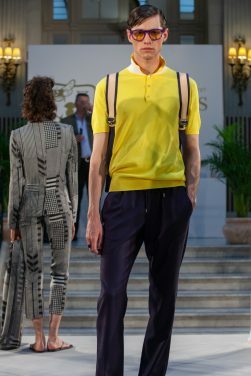 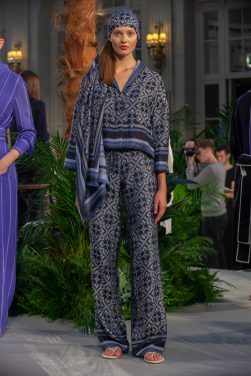 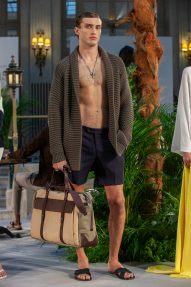 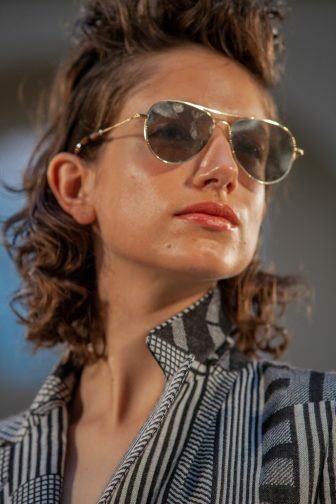 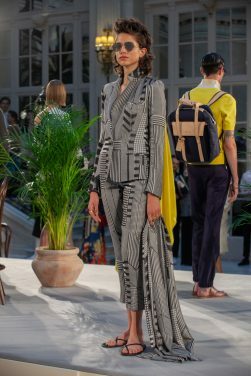 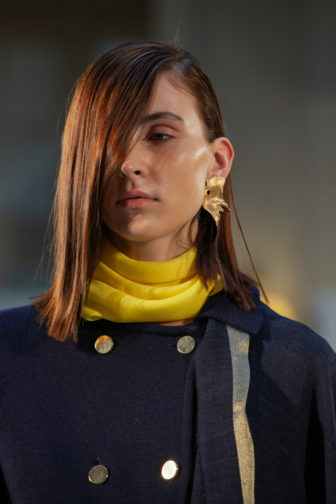 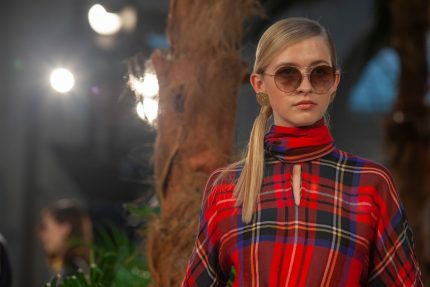 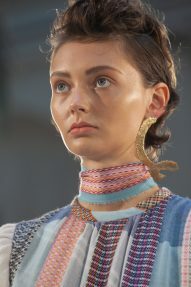 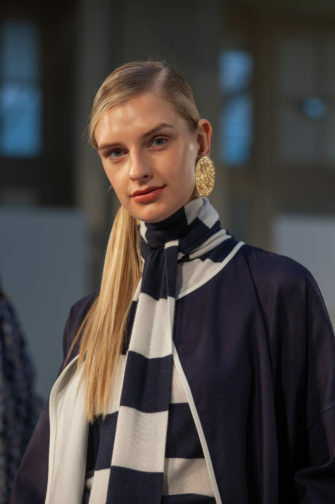 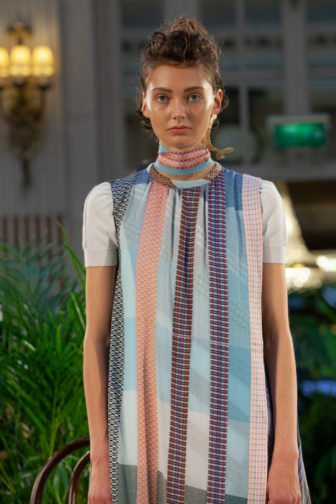 The models stood on a platform – inspired by the island of Ischia in the bay of Naples – forming an airy and bright atmosphere, with works that embodied sportiness, leisure and sophistication. 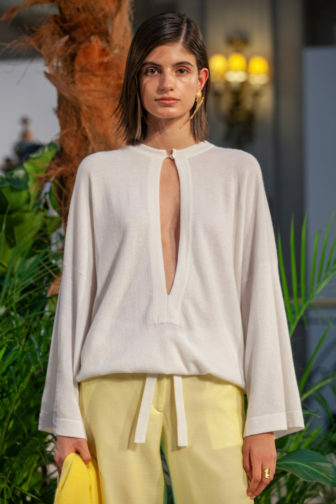 For high summer, the brand used lightweight cashmere and mesh creations, producing a languid air to the pieces. 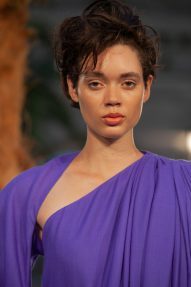 Bright canary yellows, rich purples and creamy ecru made the designs pop and blend luxuriously. 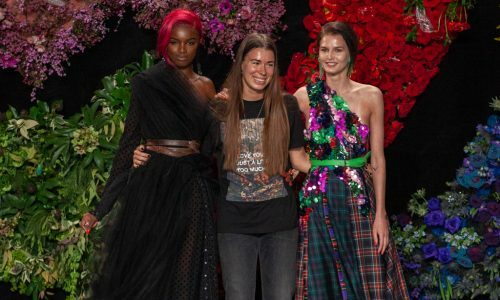 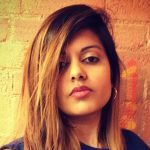 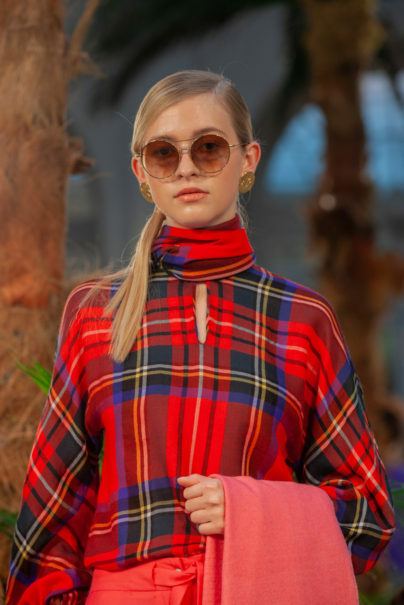 One such outfit of a tartan top tucked into a pair of cerise long shorts stood out – casual, sporty and effortlessly summery – while a bold purple flowing gown radiated grace in the vein of Ancient Greek royalty. 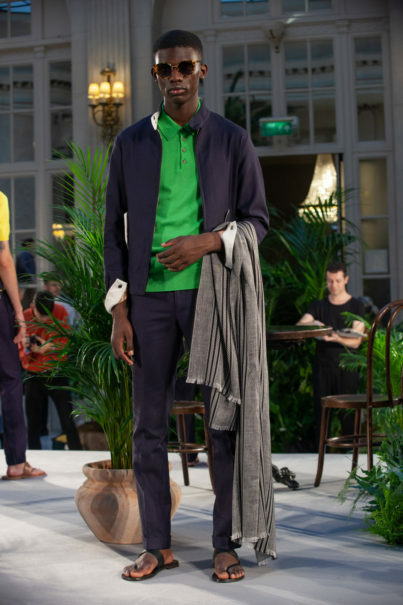 The pieces reflect the lifestyle of the well-travelled buyer of the brand, materials made from super light cotton which can only be grown in select limited regions of the world. 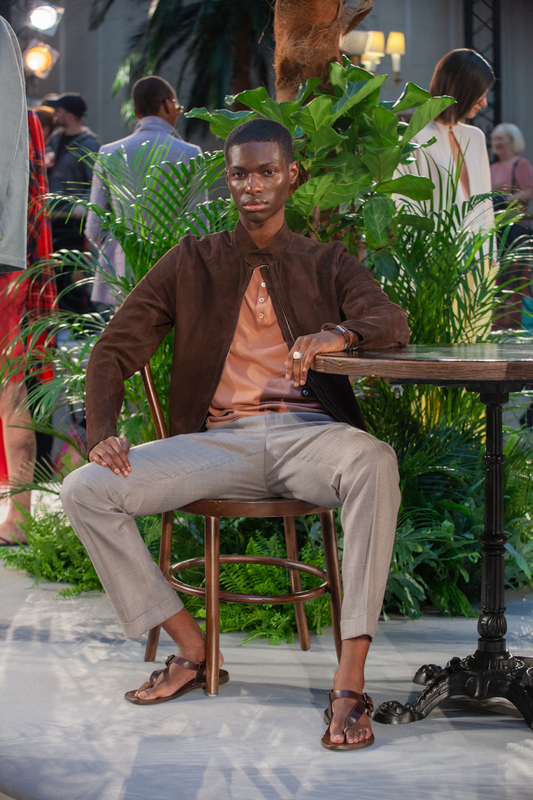 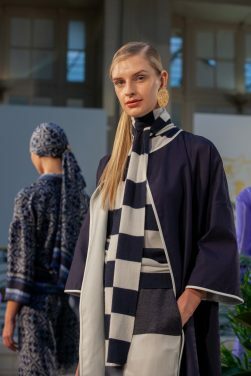 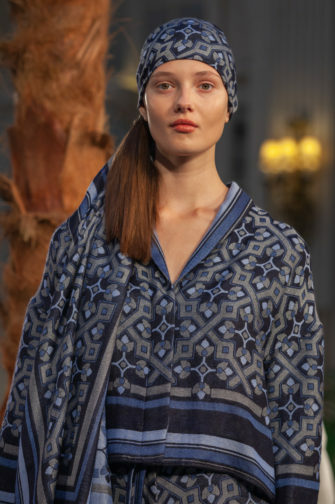 The collection exudes sophistication and elegance, with pieces that are presented to be extremely comfortable and chic, while also in keeping with the brand’s sustainability ethics – in collaboration with the Sustainable Fibre Alliance, which Johnstons of Elgin helped to fund and launch.